TheForce.net: Watch The Trailer For The Second Half Of The Final Season Of Star Wars Rebels! Premiere telecasts of "Jedi Night" (9:00 p.m. EST) and "DUME" (9:30 p.m. EST) on Disney XD and will be released on the DisneyNOW App (www.DisneyNOW.com) at 10:00 p.m. EST. Premiere telecasts of "Wolves and a Door" (9:00 p.m. EST) and "A World Between Worlds" (9:30 p.m. EST) on Disney XD and will be released on the DisneyNOW App (www.DisneyNOW.com) at 10:00 p.m. EST. Premiere telecasts of "A Fool's Hope" (8:30 p.m. EST) and "Family Reunion – and Farewell" (9:00 p.m. EST) on Disney XD and will be released on the DisneyNOW App (www.DisneyNOW.com) at 10:00 p.m. EST. To avoid spoilers and allow fans to experience the episodes together during each telecast, new episodes will be available on VOD and digital platforms the day after their linear and DisneyNOW premieres. Viewers can also catch all previously-aired "Star Wars Rebels" episodes from season four on the DisneyNOW App. 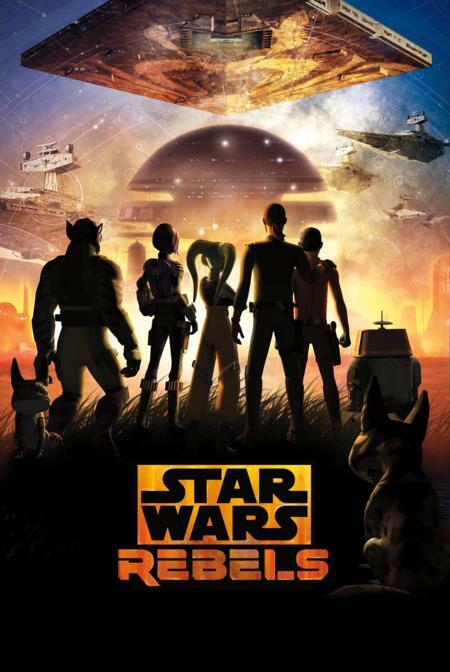 "Star Wars Rebels" is created by Emmy® Award-winning executive producer Dave Filoni ("Star Wars: The Clone Wars"), Academy® Award nominee Simon Kinberg ("X-Men: Days of Future Past") and Emmy Award nominee Carrie Beck. The Lucasfilm Animation production is executive produced by Filoni and Kinberg, and co-executive produced by Emmy nominee Henry Gilroy. 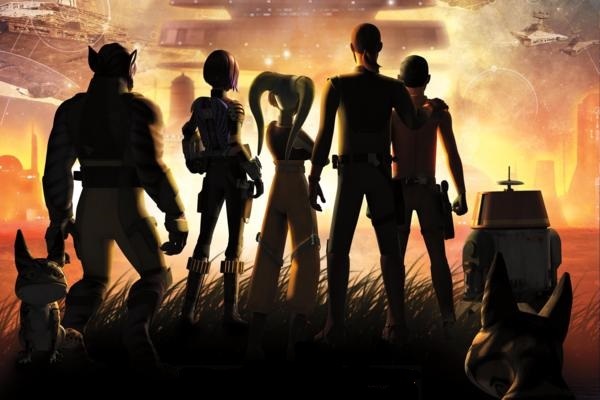 The voice cast includes Freddie Prinze Jr. as Kanan, Vanessa Marshall as Hera, Steve Blum as Zeb, Tiya Sircar as Sabine, Taylor Gray as Ezra, Dee Bradley Baker as Captain Rex, David Oyelowo as Kallus, Mary Elizabeth McGlynn as Governor Pryce, Lars Mikkelsen as Grand Admiral Thrawn and Warwick Davis as Rukh. Follow @StarWars for the latest news on #StarWarsRebels and check out StarWars.com for more exciting news on the series. Rebels Returns In One Week From Today!